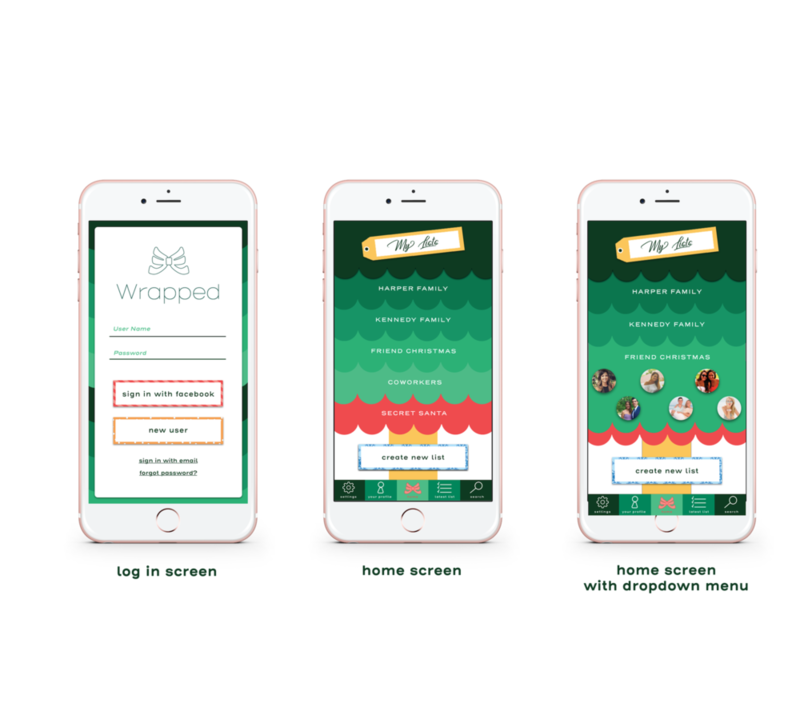 Wrapped is a shopping app designed to make your holidays and events easier. This app allows you to input a list of people you need to buy for, generates a profile for each person (based on their Facebook page), and then tailors a custom list of gifts you could potentially get for each person. The following video was created to help showcase how the app works and walk the user through how to make a purchase. The following pages are designed for the app's launch during Christmas season. However, the app can update its look based on whichever holiday is chosen by the user.